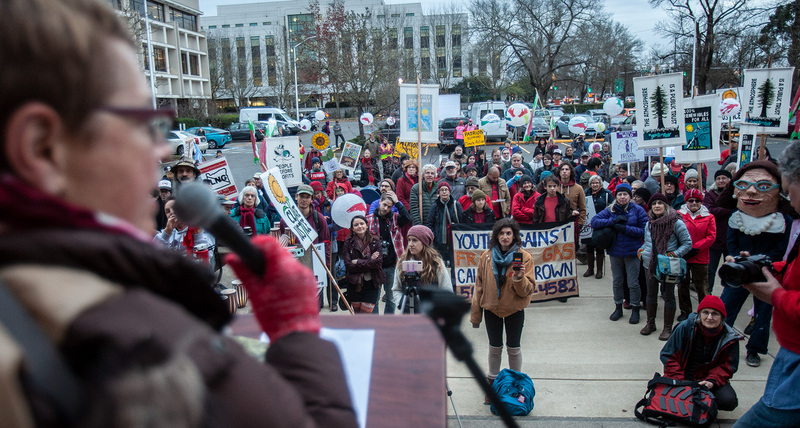 “On a brisk January evening in Salem, Oregon, hundreds of people came together in solidarity in front of the Oregon Department of Veterans Affairs building to demand that the Jordan Cove Liquified Natural Gas (LNG) Export Terminal and the Pacific Connector Pipeline not get built. The 229 mile controversial pipeline is being pushed forward by the Pembina Pipeline Corporation in spite of huge opposition by landowners, community members and environmental groups. View the full article on Portland Community College Student Newspaper website here! Previous Previous post: No Pipeline! No Fracked Gas Exports! Next Next post: Legal Victory for California’s Wolves!